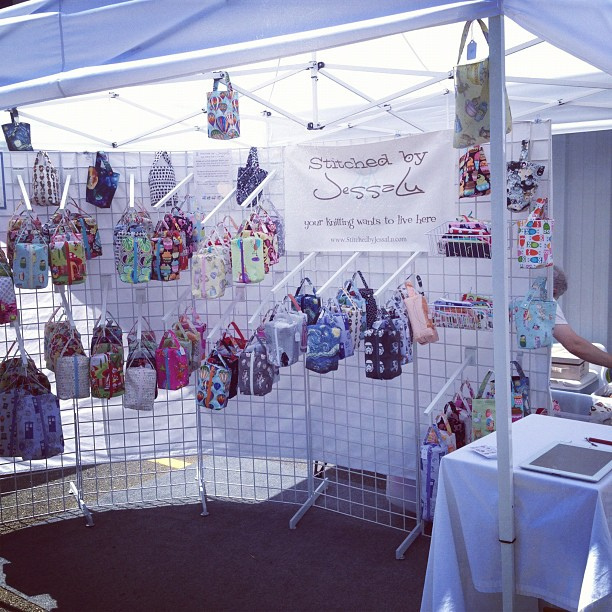 The show is happening tomorrow, April 21! Will I see you there? 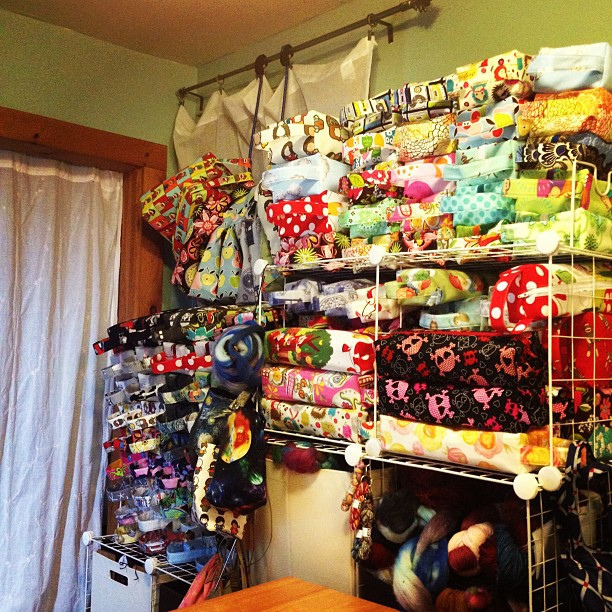 The radio silence on the blog may continue since my next vending venture will be on May 19th at the WEBS tent sale! 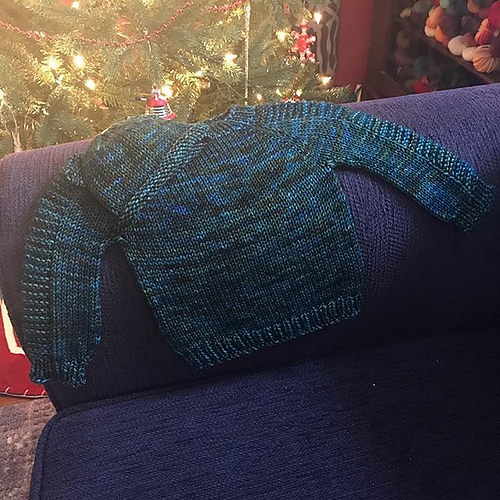 I do have news though, I’ve been knitting along on my sweater and have the body and most of one sleeve done! 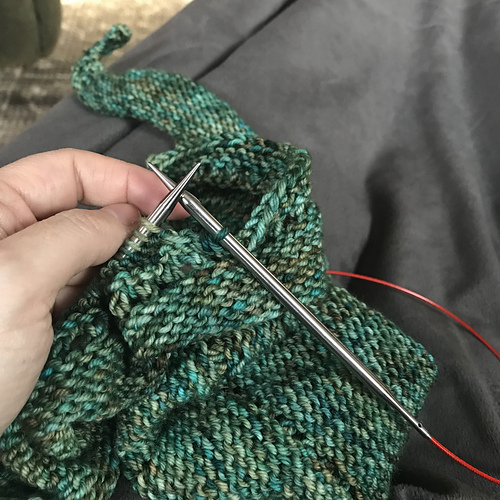 I’m knitting the Effortless – I’m sorry I neglected to put that in my ‘look a new project!’ post! 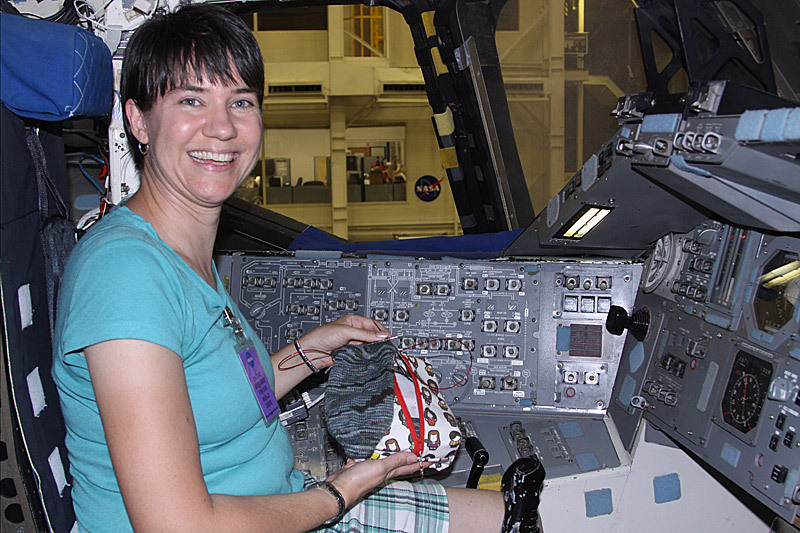 Thanks to my friend, Annie, a SbJL bag made it onto the Space Shuttle last week – even more awesome, it was a browncoat bag!